For the last few years and even at present, my mode of transportation from Manila to Mindanao is through the air. I have virtually earned a lot of flying hours that I could proudly compete with the flying hours which my son and all his classmates earned in the flying school, that much. I never had any jitter even if during weekends I would watch intently what National Geographic would analyze on the topic of Airplane Crash Investigation. The docu clippings were of vintage quality. It would never happen and if at all, it would be very remote. The case of 9/11 in US was chilling but in my mind, it could never happen in a developing country. And then something happened a few days, well, a week ago. 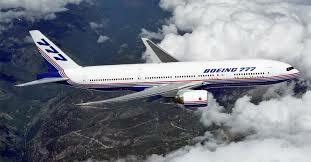 A big jumbo commercial jet (Boeing 777) with 239 passengers on board suddenly disappeared in thin air! That instance made me apprehensive about boarding planes. Not that I am scared of flying but my family, friends, acquaintances even countrymen who are dependent on air transportation will all be subject on this form of nightmare. Disappearing while on flight, where all radars are opened and virtually satellites above the planet are monitoring as if the world is on CCTV and finding or recording nothing befuddles the modern mind. We have already discovered the smallest, the most infinitesimal particle in the universe, defined antimatter and yet we could not locate a jumbo jet, the size of a football field, hovering a few thousand meters above our head! This is no sleight of hand. I would not even indulge in claiming that magicians tried to make some kind of trickery through illusion or misdirection of this magnitude by waving a kerchief abracadabra style. There were several theories, even incantations from shaman just to determine where the giant aluminum bird is and still nothing concrete has ever been laid down. There are still mysteries in this world which science could not fathom yet. In US, the entire security landscape has been designed to cover almost their entire atmosphere of the country, not knowing that a low tech and low approach would have been used to attack its central business district. In the case of Malaysia, there are around 26 countries pouring out their technological expertise to assist in locating the missing plane. That means that analysis is conducted from the top. Why not start something from below. Not as low as what the shaman would suggest though. We still have lapses despite advancement of technology. We have as yet to find cure for cancer and HIV. We have as yet to formulate a humanistic standard that would address the final end for war and conflict. We have as yet to develop a scheme that would equalize distribution of wealth, that poverty would eventually be eradicated, injustice nipped at the bud and exploitation reduced to fiction. Man is still far from attaining the ideal, well, not necessarily an ideal state but something proximate to what we intend to be in the future. These lapses at times are expressed in gaps in technology. Hence, even a missing giant could still be something that confounds whatever has been achieved by mankind as far as his knowledge is concerned. Posted on March 21, 2014, in Uncategorized and tagged air transportation. Bookmark the permalink. Leave a comment.